A sulfate-free cleansing conditioner that notably eases detangling. Great for gentle cleansing without stripping the natural moisture from hair. 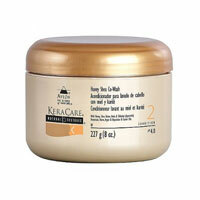 Beautifully hydrates hair with honey and shea butter leaving it soft, smooth, shiny and prime for growth. May be used daily. Directions for use: Wet hair thoroughly. Saturate a generous amount of the product throughout hair from roots to ends. Using fingertips, massage into the scalp using circular motions to loosen dandruff, dirt and product residue. Gently detangle with fingers or a wide tooth comb. Do not expect to see a lather, although there may likely be suds while rinsing (but not as much as when using a conventional shampoo). 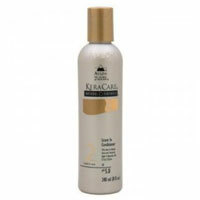 Rinse thoroughly within 3-5 minutes, taking care to rinse traces of the conditioner from the ears, neck and hairline. Repeat if necessary. Apply a leave-in conditioner and proceed to style as usual.